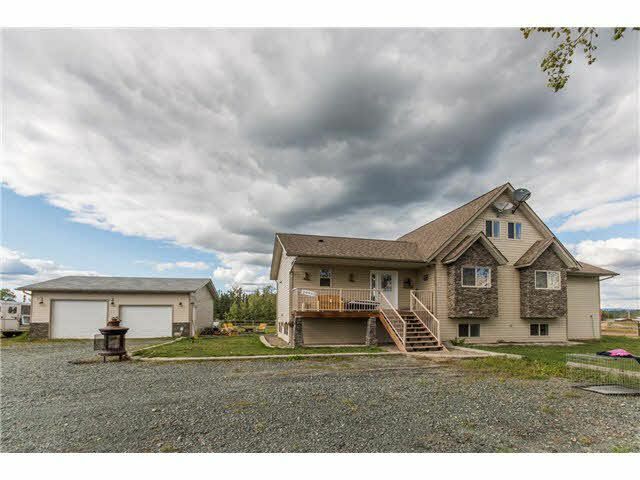 This stunning 7 year old custom home with big shop is set on an ideal 10+ acre parcel that is fully set up for horses and other critters. Twenty-three foot vaulted ceilings in the great room have floor-to-ceiling windows that peer over horse-friendly cross-fenced fields and beautiful rolling valley views. The solid birch kitchen and huge dining areas are totally open to the great room plus the main floor also boasts 3 big bedrooms. A dream deck is a great place to enjoy crisp morning coffees and a custom soundproof media room is the ideal place to bring everyone together. Bonus features: wired double detached shop, barn with 5 stalls & loft, new fencing, good well (160' deep), and a large grassy yard for the kids.